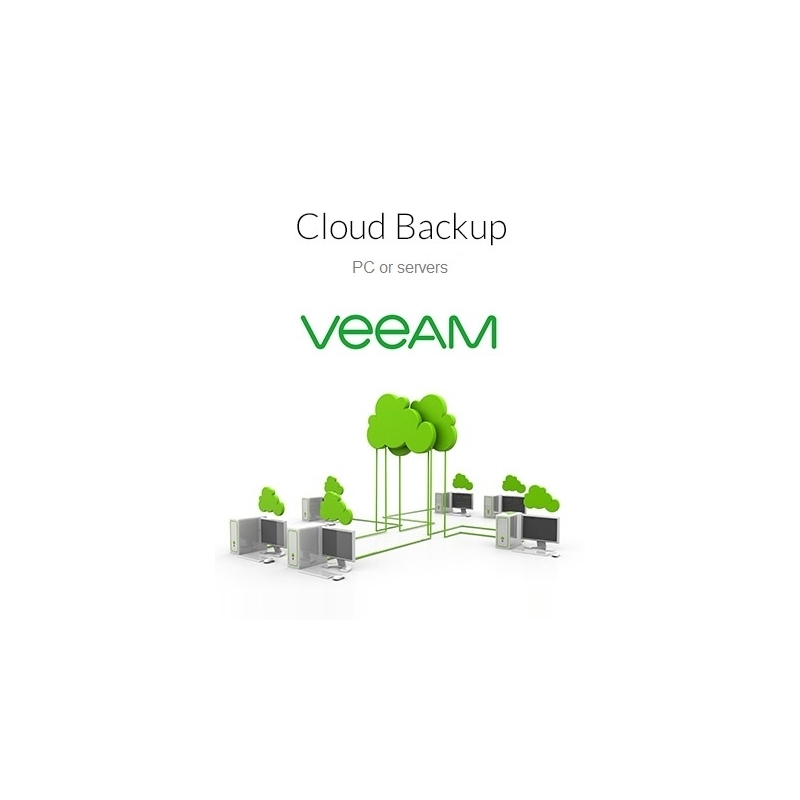 Install a Veeam backup agent on each PC or Server. 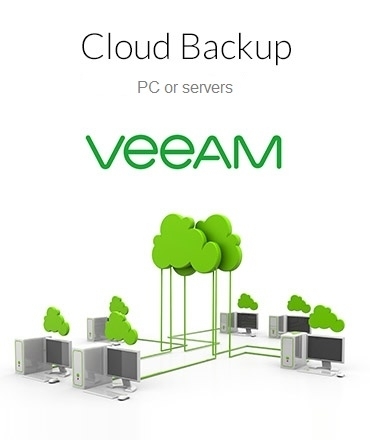 You can then make backups directly to the secure cloud. 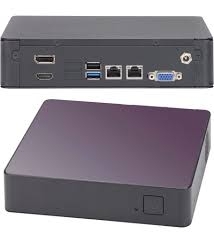 The optional Backup Box makes it possible to centrally manage backups and speeds up the upload of backup files with the WAN accelerator function. 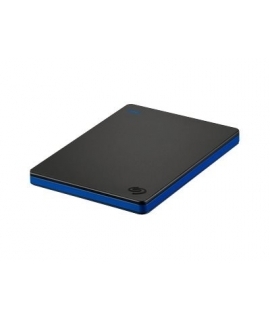 An optional USB disk can be connected for additional local backup.